Made-for-TV Italian crime drama based on a true story. The film follows the return of the terrorist organisation, the Red Brigades, after eleven years. 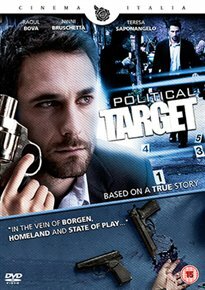 An investigation is launched when political advisors Massimo D’Antona (Paolo Maria Scalondro) and Marco Biagi (Stefano Santospago) are murdered. After police officer Emanuele Petri (Dario D’Ambrosi) is killed in 2003 a Red Brigades member is apprehended and the Italian authorities make further arrests as they close in on their search for those responsible for the deaths of D’Antona and Biagi.